My six days of cruising on Viking Star may not have been quite enough time for a full experience. 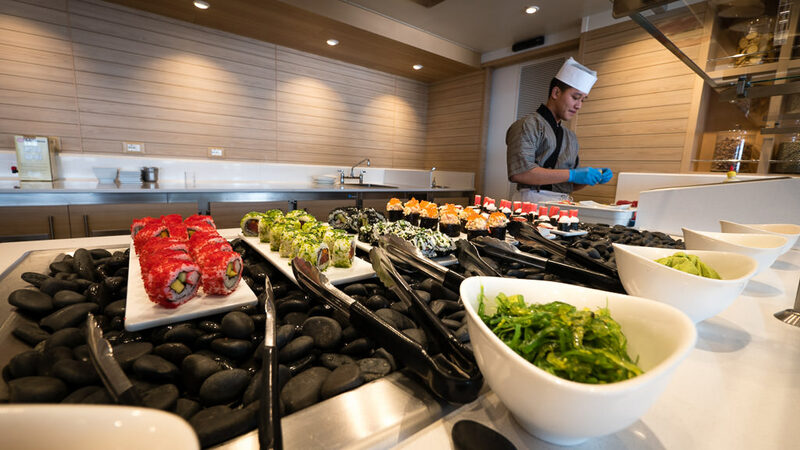 After all, with four restaurants and room service open for dinner, the dining experience alone needs a little more time to fully assess all five dinner venues. I will say that I had the best sushi, excepting Nobu’s Sushi Bar on Crystal Cruises perhaps, at the World Café on Viking Star. Until about day three in my cruise, I didn’t even know the World Café was open for dinner. I would have enjoyed dining there more than once, especially considering that the side doors slide open to create an al fresco dining experience. Still, even if the time was short, I very much enjoyed the Viking Star. Torstein Hagen and his team are to be congratulated for creating something fresh for small ships in the upper premium category. Granted, Larry Pimentel of Azamara Cruises and Frank del Rio of Oceania Cruises have also created great products within the niche. And while I know both of them would resist categorization, in my view, putting these three cruise lines on a competitive platform may serve the interests of consumers who are trying to make decisions about cruising on ships carrying under 1,000 guests and not quite at the level of Seabourn, Silversea and the like. 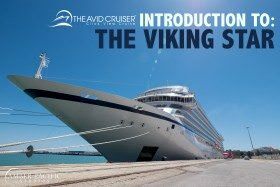 In the few days, I’ve been on board, I’ve tried to give readers quite as much information as possible about Viking Star. The fun is not over yet. Watch this space next week as Aaron Saunders picks up where I left off. He’ll board Viking Star in London on May 12 and sail to Bergen for the ship’s christening on May 17. Aaron will be filing his daily reports right here on Avid Cruiser. Meanwhile, I’ll be sailing on Uniworld’s S.S. Maria Theresa, writing missives each day on our sister site, River Cruise Advisor. Here’s my recap of six days on Viking Star. If you’ve been itching to travel to the Nordics (or longing to return), look no further than Viking Star. 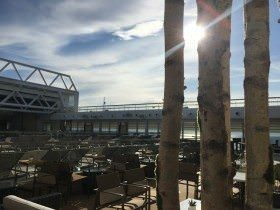 The new ocean cruiser is a tribute to ancient Viking heritage and to contemporary Nordic culture.Shortly after embarking on Saturday, I toured the 930-guest vessel with Viking Ocean Cruises Chairman Torstein Hagen. Yesterday, I toured Viking Star with Tor. Torstein Hagen, that is, the chairman of Viking Ocean Cruises.During the tour, I learned just how much Nordic influence went into Viking Star. A lot. The ship’s interior made me feel as if I were on a stroll through Scandinavia, even though the interior design firm (Rottet Studio) hails not from Oslo or Stockholm but from Los Angeles. See Boarding The Nordic Inspired Viking Star. 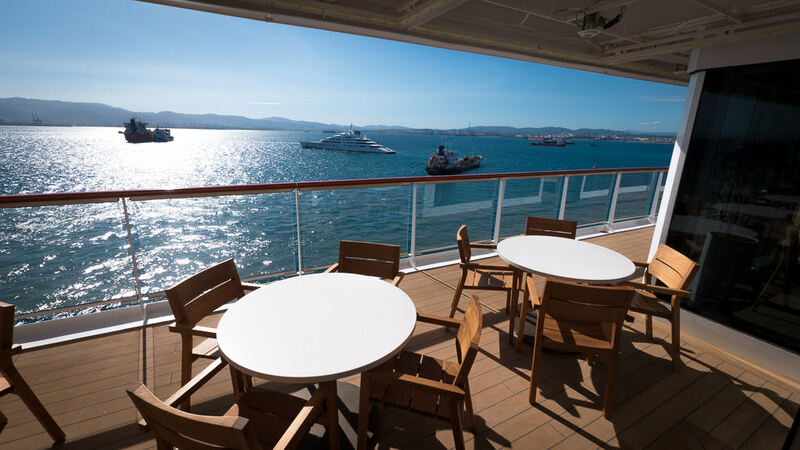 Viking Star: Day 3, Cartagena, Spain, Has Viking Created A New Category Of Ocean Cruiser? 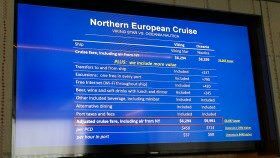 Yesterday, I wrote about a Northern Europe itinerary on which Viking Star was priced nearly 60 percent lower than Oceania Nautica when all inclusives were factored in. And that differential was based on Oceania’s promotional rate of $8,299. Using the brochure rate of $20,198 per person, Oceania Nautica would be priced more than 200 percent higher than Viking Star for the August 2016 sailing. Clearly, there were opportunities in the upper-premium segment. 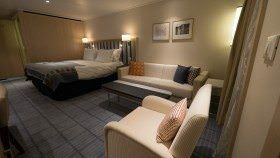 When I first walked into it a few days ago, my stateroom on Viking Star appeared plain and uninteresting, but it has grown on me, and I’ve come to appreciate that there is a beauty in its simplicity. To paraphrase Torstein Hagen, Viking Ocean Cruises’ chairman, Viking Star embodies an understated “Scandinavian” elegance. I’ve come to appreciate the light woods, the simple, yet functional, furniture, and a bathroom that looks much like those I have seen in the Nordics. I’ve been on board Viking Star for five days now, and it took me that long to assess Viking Ocean Cruises’ newest vessel and figure her out. I’m not alone. 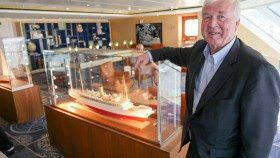 She’s a small ship, but as Viking Ocean Cruises’ Chairman Torstein Hagen points out, space was well-utilized, and that means there is a lot to see and experience as well as new things to be discovered. I’m impressed! We’re confirmed Oceania cruisers (the bigger ships), but have been looking forward to more info on the Viking ocean-going ships. This review combined with the new brochure we received recently makes me think that there might be a Viking ocean cruise in our future! However they first must come up with some more inventive itineraries. We’ve seen the Mediterranean and Scandinavia, and will be more interested in the more exotic ports as they continue to build these ships. I do wish both Viking and Oceania would change their brochure pricing practices. We all know that the $8K cabin is ‘on sale’ for $4K, and so it goes with all of the cabin choices. Do they think we’re not smart enough to figure it out? No one pays any attention to the list price in their brochures, IMHO. Thanks for the great review. Our travel agent told us about your blog! Thank you Martha! Agreed about the absurd brochure rates. Appreciate your contribution to the discussion on Viking Star and Oceania. Torstein Hagen mentioned in a press conference that I attended that Viking has lots of plans, including Antarctica.